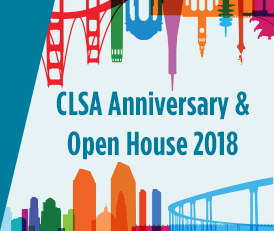 CLSA Bulletin | CLSA's 3rd Anniversary Celebration & Open House Celebrations Draw Record Crowds, CLSA Commends House Votes to Repeal Medical Device Tax, and More! 2018 JumpStart Grant Opens this August! Biotech Primer Article: Red Blood Cells: Ready for Double-Duty?